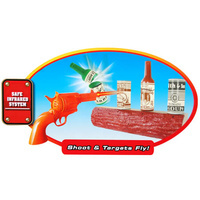 Laser Target Shooting Game | Shoot and Targets Fly! 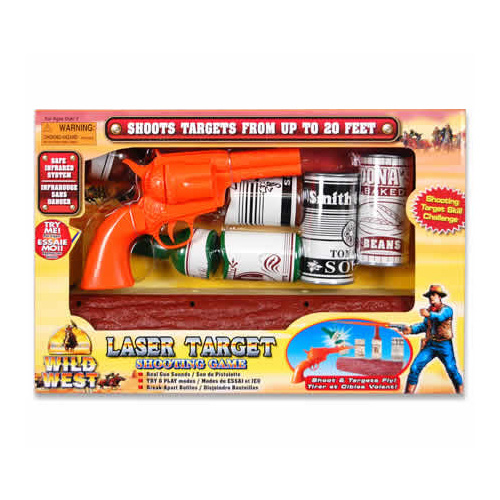 The Laser Target Shooting Game is a fun, safe, indoor shooting game with real gun sounds. Test your aiming skills from up to 6 metres away! 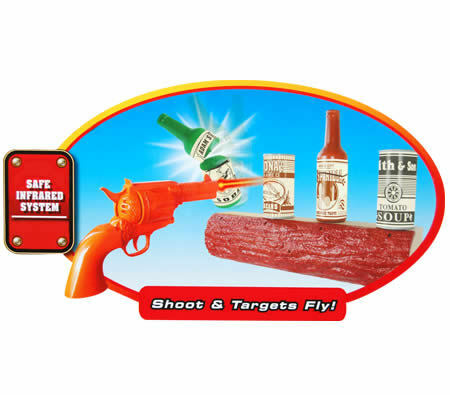 Simply set the bottles and cans on the log, pull the trigger and watch them fly! 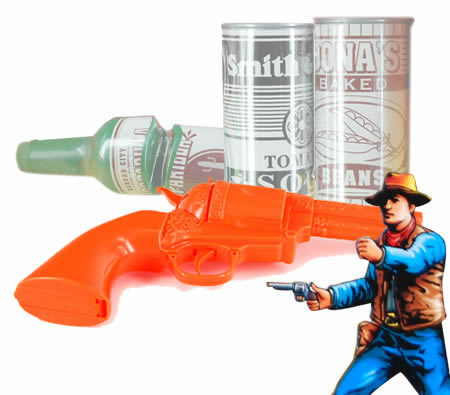 As you hit the target you'll hear an electronic "clash" sound as the safe infrared beam breaks the plastic bottles apart! When you've knocked all the bottles and cans off the log, simply put them back together and you're ready to play again! 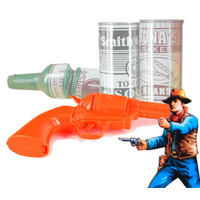 Set comes complete with an electronic log, four bottle and can targets, a six-shooter style infrared pistol and an instruction manual. Great fun for children and adults alike! 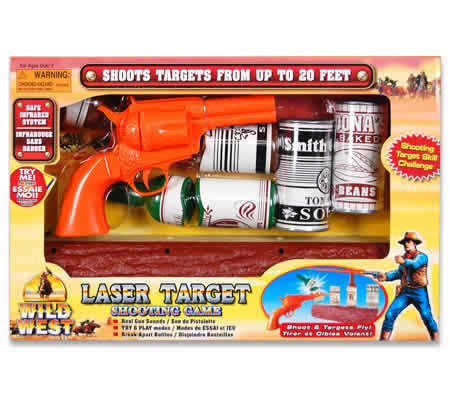 Take up the Wild West challenge. Playset requires 2 x AA batteries and 3 x C batteries (included for display purposes only). Product Dimensions: 45.5cm (L) x 31cm (H) x 9.5cm (W).